Our Springs students, grades 4-8, will study the correct spelling of words from a prepared study list and compete against each other in “round” competition. In other words, 4th graders will have to spell the same words as 8th graders. There are four preliminary charter school spelling bees listed below. You must register by November 30, 2018, for your event. 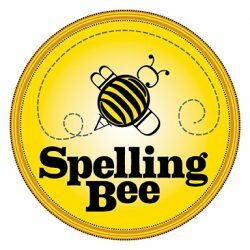 Finalists will move on to our School Wide Spelling Bee that will also include our Academy finalists on Friday, January 11, 2019. We will follow the Riverside County Office of Education Spelling Bee Guidelines. Jennifer Wiersma at jennifer.wiersma@springscs.org or your ES. You must register here for one of these preliminary events by November 30, 2018. No Exceptions. ADDITIONAL INFORMATION: Entire family and friends invited. Toddlers must remain with parents at all times.